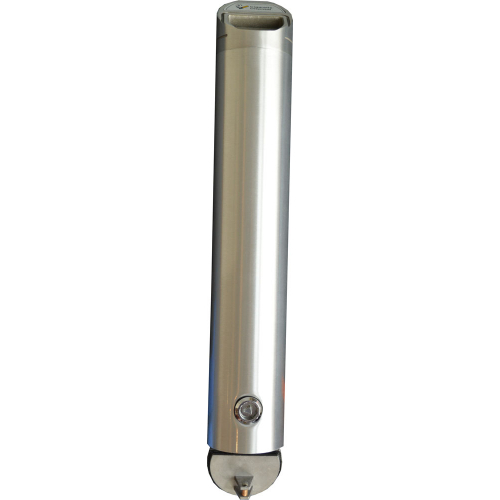 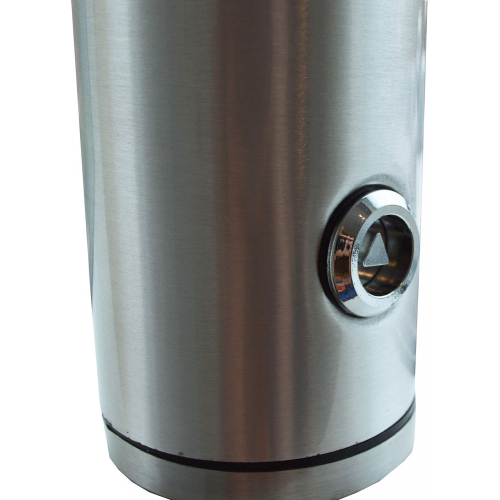 This stainless-steel cigarette bin is easily mounted onto outdoor posts such as lamp posts and fence poles. 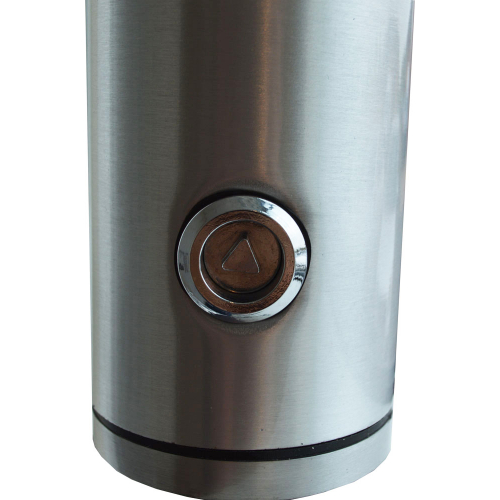 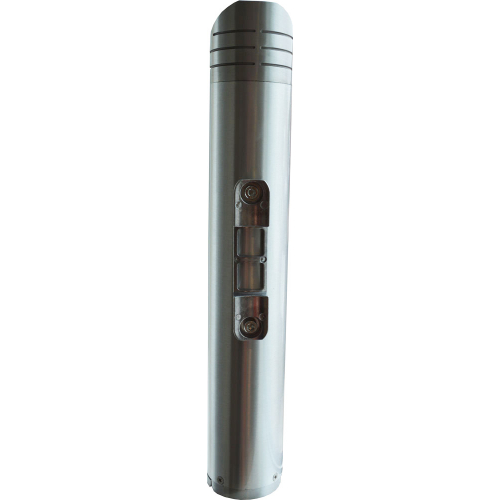 It serves as an elegant solution to keeping smoking areas and public spaces clear of cigarette ends. 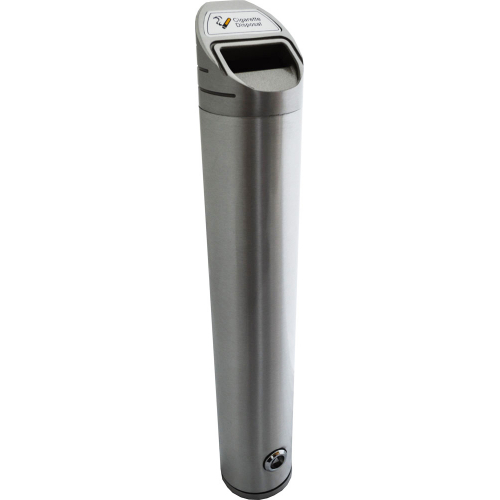 This bin is commonly installed in public places such as towns, shopping centres, office buildings and designated smoking areas in pubs, bars and restaurants. 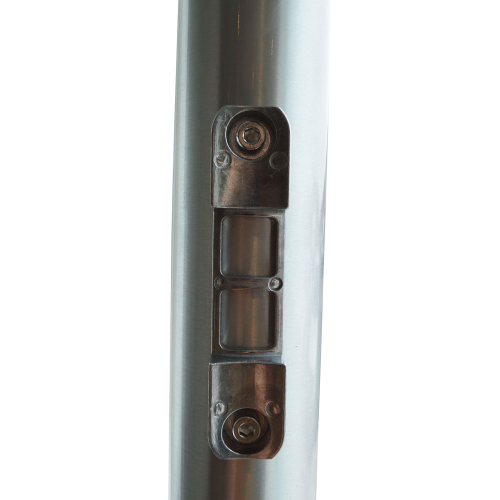 The bin is lockable from the bottom which is attached via hinges so it is easily accessible and emptied. 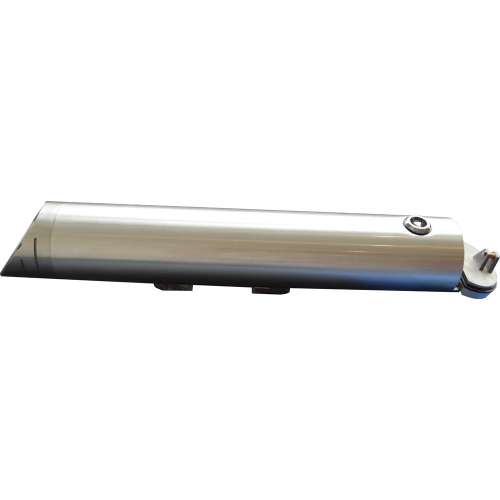 A key is supplied with the bin alongside a cleaning brush. 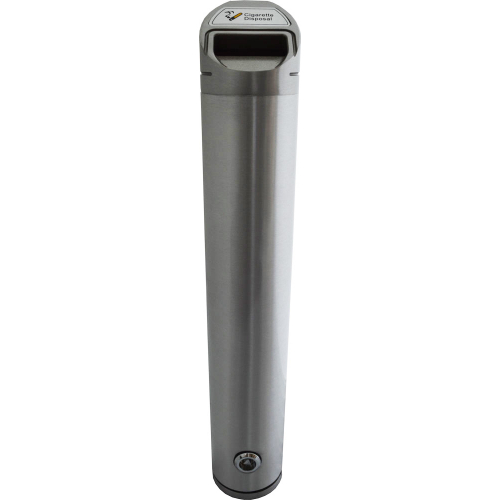 The fitting at the rear of the bin is curved, ensuring it securely fits onto posts. 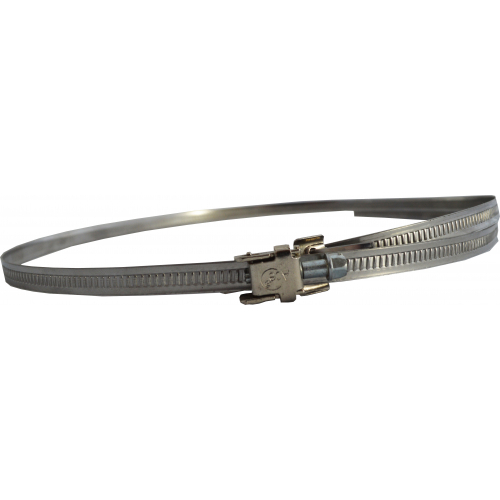 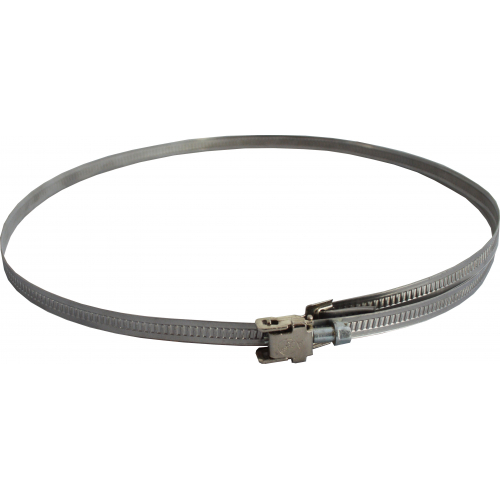 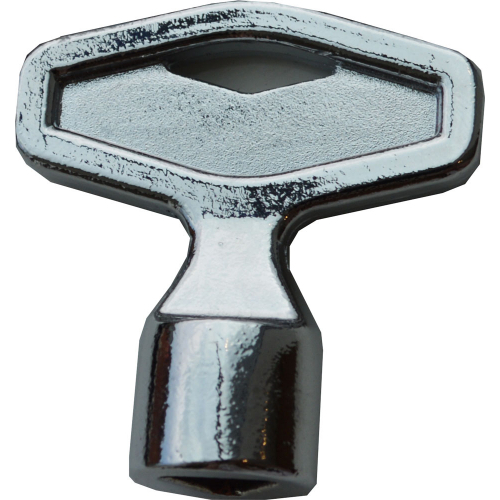 It is fixed via the designated holes in the fitting using 2x straps which are supplied. 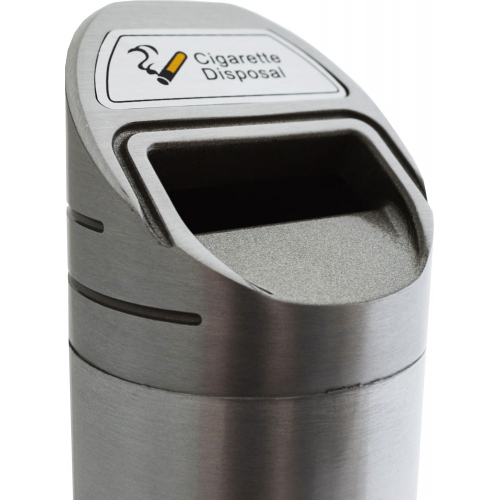 Cigarettes are disposed through the rectangular aperture at the top of the bin. 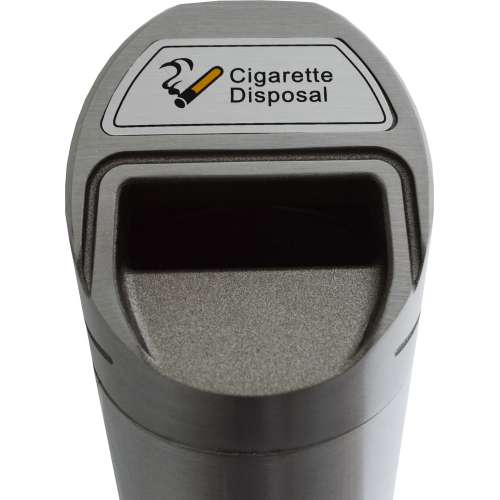 It is decorated with a ‘Cigarette Disposal’ graphic to clearly illustrate the bin’s purpose.